Halloween is upon us, and with it come terrifying visions of specters, apparitions and phantoms. Preternatural creatures are not the only thing that can strike terror in the hearts of event marketers. 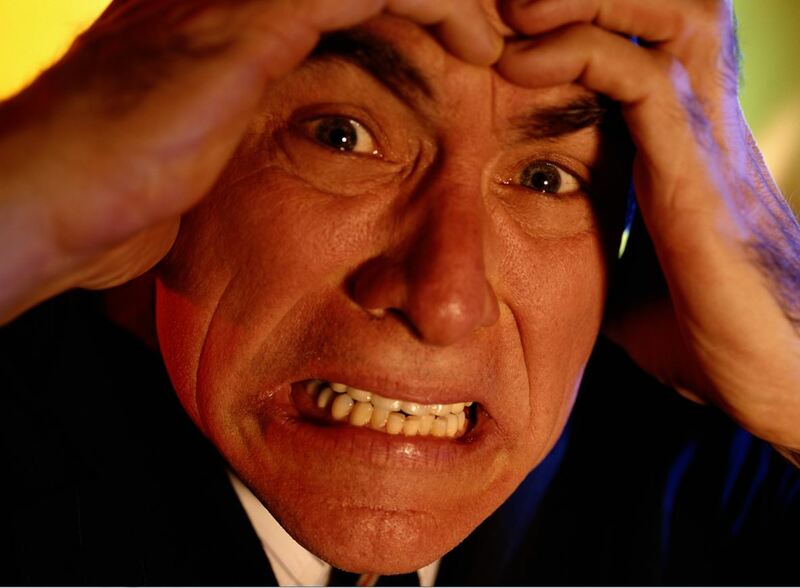 Horror stories of everything from missing trade show booths to forgetting equipment back at the office can be enough to keep even the most seasoned event marketer up at night. Below, we highlight three frightful follies that event marketers can fall prey to, as well as tips on how to avoid these trade show mistakes. Tales of ships and planes vanishing in the vast mysterious waters of the Bermuda Triangle have filled the ears and stirred the imaginations of pilots, mariners and the general public for generations. Like ill-fated vessels crossing into the Bermuda Triangle’s woeful waters, trade show exhibits can come up missing. Everything from exhibit freight companies forgetting to ship an exhibit on time, to exhibits getting lost in transit are very real and serious challenges faced by unlucky exhibitors. The best way to avoid a missing exhibit is to partner with an experienced exhibit solution provider who has a good relationship with a reputable freight carrier. You should communicate your show schedule and timeline clearly with your freight carrier and check-in often to make sure everything is in order prior to shipping. Also, track your exhibit from the moment it is picked up to the second it gets dropped off at the event venue for extra peace of mind and to avoid trade show problems. Greed has been the inspiration for horror tales like Dante’s Purgatorio–which outlined it as one of the “Seven Deadly Sins” to Stephen King’s Thinner. The horrors of greed are not confined to the pages of classic and contemporary literature. Sometimes well-intentioned exhibitors want to pack as many components and products as possible into their space. This can lead a cluttered and uninviting exhibit skipped over by attendees or–in some cases– fines from show or venue management. To avoid the terror of having more than you bargained for, make sure that you plan out the exact amount of space you need to make an impact on the show floor during the exhibit design consolation process. 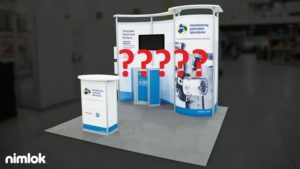 A great way to avoid potential problems is by inquiring about a reconfigurable trade show display that can scale up or down in size depending on your needs. You should also study the show rules to ensure your exhibit is in compliance and double-check with venue and show staff if unsure. In the movie Alive, the fear and dismay the audience feel is not generated by a monster or creature. Rather, viewers are terrified at the prospect of being stranded and ill-prepared for the elements. The fear of being ill-prepared or forgetting a vital piece of equipment is a fear known all too well by event marketers. Something as simple as packing the wrong AV cables for your multimedia display can ruin an otherwise seamless event. To avoid leaving vital equipment behind and to make sure you are fully prepared for your event, make sure you make a checklist of all your essentials. Go through your checklist often, and make sure that you assign items and tasks to member of your team to complete to avoid costly trade show errors. Now that we have spooked you with three terrifying trade show mistakes, learn how you can avoid making them yourself, with Nimlok’s Ultimate Trade Show Planning Checklist. 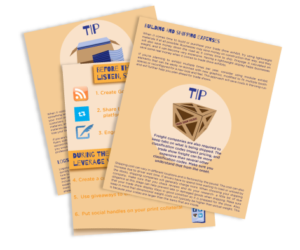 Download your free copy and start planning for your next event today! Eric Dyson is the Content Marketing Specialist at Nimlok. Eric is a rapacious reader and has a voracious appetite for all things pastry. From gas station apple pies to gourmet cheesecake; if it’s sweet he eats. Very informative! You’ve rightly pointed out how small mistakes can ruin your entire planning and strategy. Exhibits getting lost in transition or not reaching the location on time are common problems and companies need to learn from past mishaps. Having professionals work on the exhibits would cost you, but can save you from a lot of future disappointment.